Guitar-maker Gibson set to buy TEAC | What Hi-Fi? TEAC is set to join Cerwin Vega!, KRK and Stanton as part of the Gibson Guitar stable, under a deal announced today in Tokyo by the US musical instrument manufacturer and the investment fund currently controlling the Japanese audio company. Phoenix Capital has agreed to sell Gibson all the shares it owns in TEAC, giving the Nashville-based guitar company a 54.5% stake in the company. Under Japanese law, the deal must be done via a tender offer process, which starts on Monday and will run for 21 business days, but the two have agreed that Gibson will buy Phoenix Capital's 157,447,000 TEAC shares at ¥31 per share, for a cash investment of almost ¥4.9bn (around £34m). This is Gibson's second investment in a Japanese audio company: at the beginning of last year it bought a stake in Onkyo totalling some £6.6m, making it Onkyo's second-largest shareholder with a holding of around 13%. Onkyo is also a shareholder in TEAC, with a 10% stake: it remains to be seen how it will react to Gibson's buy-out. TEAC has been seen to be struggling in what is a declining audio market in Japan, posting profits of just ¥89m, or around £620,000. Market commentators suggest that the move may hasten a consolidation in the Japanese audio industry. 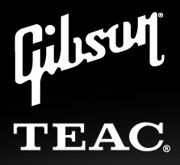 Gibson chairman and CEO Henry E. Juszkiewicz says 'We are delighted to welcome TEAC and its talented employees to the Gibson family. We have both known each other for a long time and share a vision for the future. TEAC President Yuji Hanabusa says 'We are very excited to join forces with one of the global legends in the music industry.